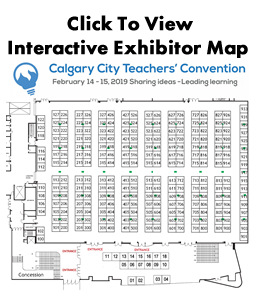 The Speaker (the "Speaker") will attend and present a session lecture at Calgary City Teachers' Convention Association (CCTCA) on behalf of the Alberta Teachers’ Association (ATA) in Calgary, Alberta on February 14 and/or 15, 2019 (the "Event"). Within a reasonable time prior to the Event, the CCTCA will inform the Speaker of the specific location and time that the Speaker will be presenting his or her session(s). The standard honorarium offered will be $150/60 minute session, $300/half day workshop, $600/full day workshop, and $1200/two day symposium. The ATA requires that the CCTCA provide the Calgary Board of Education and Calgary Catholic School District with the names of any CBE and CCSD teachers who are speaking at convention and receiving an honorarium. Good and Services Tax (GST) charged by a Speaker who is being paid to present at the Event will be honoured only if the Speaker has provided a business registration number to the CCTCA. GST will be paid on the full amount of the honorarium. Speakers from out-of-town who qualify will be provided with a single night's hotel room at the Calgary Hyatt Regency Hotel. Additional hotel nights may be provided at the discretion of the CCTCA and will be made available on a priority basis for speakers offering multiple sessions or traveling long distances. Additional accommodation will be at the expense of the Speaker. Incidentals charged to the room will not be reimbursed (i.e., parking, liquor, movie rentals, room service, etc.). Further questions regarding accommodations, can be directed to the CCTCA Executive Assistant at CCTCAexec@gmail.com. Any costs of accommodation beyond those of the Speaker specifically (e.g. for assistants or spouses) are the responsibility and at the sole expense of the Speaker, unless otherwise arranged in writing with the CCTCA. Costs affiliated with travel, expenses and accommodations MUST be pre-approved by the CCTCA and agreed upon prior to the speaking engagement. Any travel, expenses and accommodations which are not pre-approved and agreed upon prior to the speaking engagement will be the responsibility and at the sole expense of the Speaker. Speakers traveling from farther north than Edmonton or from other provinces are strongly encouraged to travel by air using the preferred CCTCA travel agency. A combination of air and ground expenses will be covered by the $250 travel allowance. If a speaker is required to travel from remote areas (greater than 100 kms) to an airport, ground travel may be negotiated on a case by case basis. The CCTCA will arrange and pay for economy class air travel for Speakers flying to Calgary. The CCTCA may also pay an allowance of $250 to cover the Speakers' ground transportation to/from their home airport and from/to the Calgary airport. Travel to and from airports by town car or limousine must be approved by the CCTCA in advance or will not be eligible for reimbursement. Speakers flying in will have their travel arrangements made by CCTCA. For out of town Speakers, one day of substitute covereage will be paid for by the CCTCA unless a second day is required based on program or travel needs. Payment for substitute teachers will be made to school districts directly, not to Speakers. In regards to substitute payment, the CCTCA will not cover exorbitant fees charged by some boards (that include pension and benefit payments). If you have any questions please contact the CCTCA Past-President at CCTCApastpres@gmail.com. Should a contract be offered, the Speaker must provide either (a) a social insurance number or (b) an invoice from a company. This information will be used as required by the Canada Revenue Agency (CRA) to report income. If you have any questions please contact the CCTCA Treasurer at CCTCAtreasurer@gmail.com. Invoices charging GST must include a GST business registration number. Cheques are provided after a Speaker's final session is completed. Cheques that aren't picked up will be mailed after the Event. In rare cases, electronic fund transfers may be requested rather than payment by cheque. In some cases, the CCTCA may collect fees from teachers to cover the costs of offsite activities and consummables. In most cases, these fees will be paid to the Speaker after the Event unless a request for earlier payment is requested by the Speaker and approved by the CCTCA Treasurer. Reimbursement of material costs require pre-approval from the CCTCA. To have costs reimbursed, speakers must provide the CCTCA with an invoice of pre-approved costs, payable after the completion of the conference. If pre-approval of speakers costs is not obtained the cost will be responsibility and at the sole expense of the speaker.